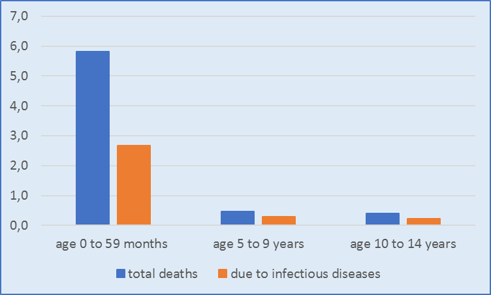 Even today, nearly 6 million children under the age of 5 die every year in developing countries due to infectious diseases. That’s more than 10 deaths a minute, the majority of which could be avoided by developing vaccines against these illnesses using the modern technologies already available. The challenge that industrialized countries face is to advance the development of vaccines already available in research laboratories as rapidly as possible, and put them to use in a sustainable way against illnesses and poverty. This is the aim of our Foundation, established as a non-profit entity to develop neglected vaccines capitalizing on existing scientific and planning capacities in the sector. The Fondazione Achille Sclavo was estabilished with the Vision of accelerating the development of new vaccines, now neglected, and making them available to LMICs at reasonable prices, and training local MDs in order to combat infectious diseases and the poverty in these countries. The Fondazione Achille Sclavo, the only Foundation with this Mission in Europe, is a philanthropic, fully tax-exempt, non-profit organization carrying out scientific research in support of the underprivileged. The Fondazione is pursuing this Vision in a non-profit setting capitalizing on its substantial scientific and technical vaccine knowledge. Its aim is to provide new, effective vaccines not yet available at reasonable prices to disadvantaged populations in developing countries burdened by endemic infectious diseases and poverty. Vaccines against childhood infectious diseases, where the mortality in developing countries is the highest, are at the center of the activity of the Fondazione Achille Sclavo.